Winston Husbands works to mobilizing research, community and other stakeholders to address and resolve crucial issues that affect the health and wellbeing of African, Caribbean and Black communities, especially in relation to supporting community responses to HIV. His emphasis on community-based program science emerges from Ontario’s HIV/AIDS Strategy for African Caribbean and Black Communities and the research priorities identified in the recent En Avant report, both consultation projects led by the African and Caribbean Council on HIV/AIDS in Ontario (ACCHO). iSpeak aimed to understand how community-based HIV services could more effective engage heterosexual Black men. Among other outputs, an outreach video about HIV testing for heterosexual men, The Test, was produced. MaBwana explored vulnerability to HIV among African, Caribbean and Black gay and bisexual men in Toronto. FACBAR – Facilitators and Barriers to Engagement in HIV health research – Working with Sean Rourke and Donald Willison on this community-based project to examine the factors that impact on the attitudes and willingness of people to participate in HIV-related health research and their concerns around consent and privacy. A/C Track Toronto – Working with Wangari Tharao and with African Caribbean and Black community agencies and local public health units to monitor trends in HIV prevalence and associated factors among African, Caribbean and Black communities in Ontario, including both immigrant populations and second generation community members. weSpeak: Reducing HIV vulnerabilities and promoting resilience among self-identified heterosexual African, Caribbean and Black Men in Ontario study – Working with Josephine Wong, this 5-year research program aims to reduce HIV vulnerabilities and promote resilience among self-identified heterosexual ACB men. Black Praise: Reduce HIV-related stigma among African, Caribbean and Black church congregations in Ontario – a community based research initiative bringing together researchers, service providers, community members and faith leaders to develop, implement and test a stigma-reduction intervention for faith communities. 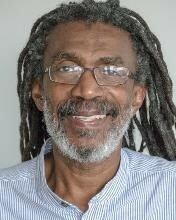 Winston Husbands is also a co-investigator on the Gay Strengths study with Trevor Hart and a co-Principal Investigator on REACH 2.0, a national, virtual laboratory for intervention research, participatory evaluation, and applied program science in HIV/AIDS, Hepatitis C, and other sexually transmitted and bloodborne infections. As a Senior Scientist at OHTN, Winston Husbands is working on a comprehensive community-based research effort focused on program science, and to ensure ongoing engagement and collaboration amongst researchers, service providers, people living with HIV (PHAs), and stakeholders within African Caribbean and Black communities. He aims to engage stakeholders’ curiosity, enthusiasm, commitment and sense of collective responsibility in order to realize health and wellbeing among ACB communities. He works closely with other OHTN staff scientists including Abigail Kroch and Beth Rachlis and with other OHTN funded researchers including Josephine Wong, Trevor Hart, Wangari Tharao, and Alan Li. He is committed to producing, mobilizing and using knowledge to support or enhance collective action on social justice issues and to improve services. He is an Adjunct Professor at the Dalla Lana School of Public Health at University of Toronto and at the Faculty of Health at York University. Winston Husbands holds an OHTN staff position as Senior Scientist.